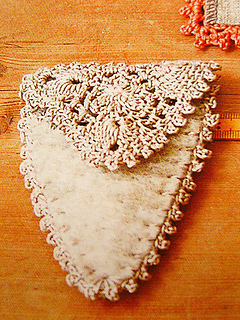 Emmy Grande Herbs is the suggested yarn for each pattern in Kyuuto! 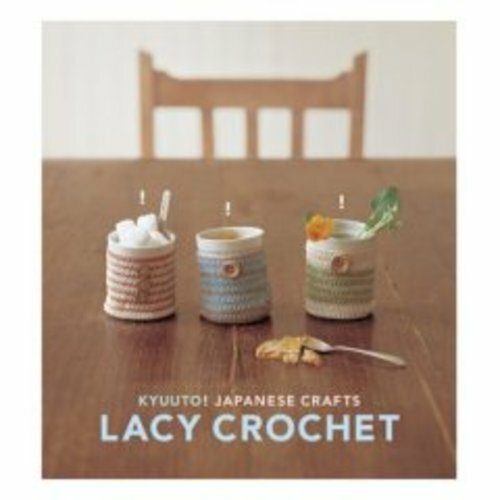 Japanese Crafts Lacy Crochet, although this is only noted in the original Japanese edition. 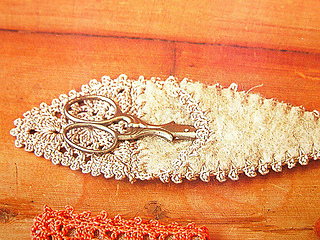 The pattern calls for 0.2 oz (5 g) of lace thread and a felt backing. Translated from Japanese. 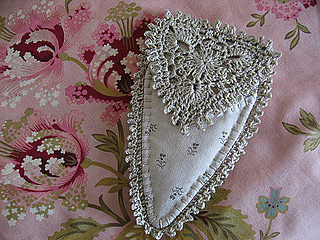 The pattern has essential written instructions and full instructions in the form of a symbol chart.